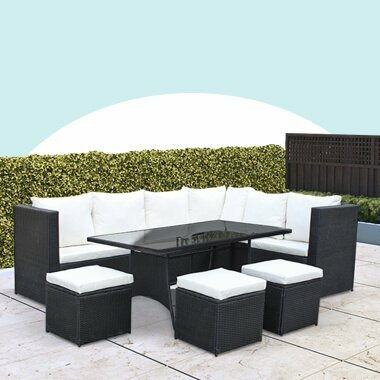 BillyOh offer a fascinating garden and outdoor furniture range, full of high-quality and heavy duty products at affordable and reasonable prices. Contemporary all weather outdoor patio garden designer furniture is what the BillyOh outdoor patio furniture collection is known for. 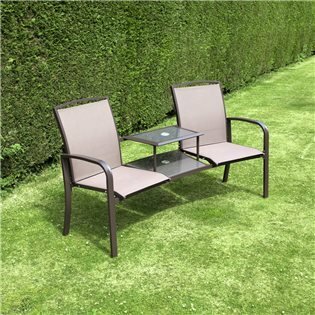 Make your garden more relaxing and comfortable looking with the BillyOh outdoor bench collection. Our patio garden bench collection including faux wood and a aluminium garden bench, can restyle your outdoor garden into a relaxing park bench haven. You don’t have to waste your hours looking for home décor and garden decorative inspiration for your garden because we’ve got you covered! The outdoor patio storage top rated bench deck will not only help every household to have a comfortable seating area of their own. But the collection will also enhance the charm and overall look and feel of their garden setting. You can choose from garden patio furniture including a garden bench porch, wood bench, iron benches, potting bench, and bench table. 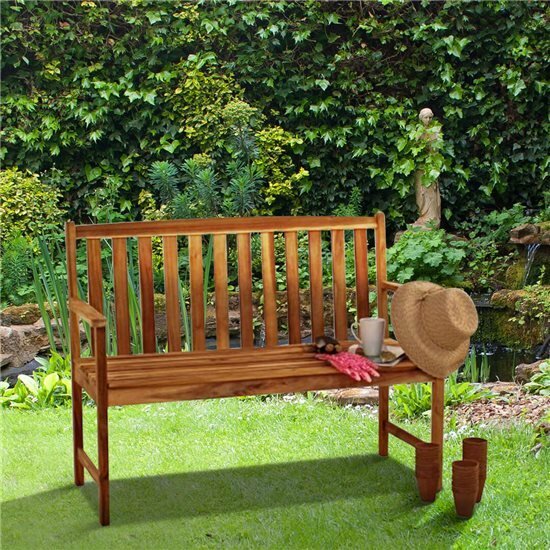 For example, our dark brown patio bench kit, Windsor Traditional Bench, has 2 to 3 seating capacity. It’s ideal for those households who don’t have enough space for patio storage, or for those who would like to soak up the sun whilst admiring their flower garden. Moreover, the Windsor High Back Bench is a perfect wood garden bench for those who wish to have a beautifully crafted high back design bench chair. 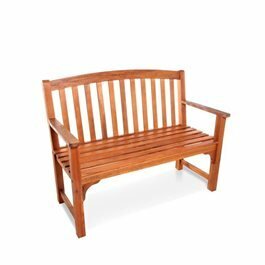 This type of outdoor seat bench features high-quality materials made from Acacia hardwood with a traditional garden patio design. Discover the luxury top rated products and more of the product details from our garden bench porch category! Make your outdoor living experience a memorable and relaxing one with the BillyOh garden bench chair settings. Garden outdoor benches and patio benches are an essential piece of garden furniture. There’s a reason that outdoor garden benches are still as popular as ever. A garden wooden bench and steel garden bench can offer any outdoor space the perfect place to sit and soak up views of the garden. An outdoor furniture steel cast aluminium bench is especially great during warmer months and can become a versatile piece of garden furniture which you can position anywhere. Whether you would like to sit on an outdoor seat to take in views of your favourite plants or if you would rather enjoy a particularly sunny spot in your backyard, there’s nothing quite like relaxing on an outdoor patio garden bench. 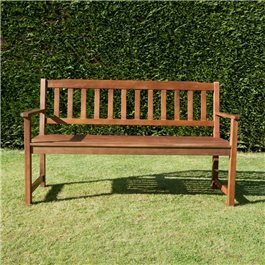 At BillyOh, we have a range of weather outdoor patio garden benches with bench features to suit all tastes. From traditional designs to those with a contemporary twist, you are guaranteed to find a patio garden bench which is right for you. Furthermore, as our metal garden benches are cast aluminium patio benches, they are lightweight to move around. This is ideal as an outdoor furniture steel frame porch chair can easily be taken from one end of your garden to another, and can, therefore, be put into storage with no hassle required. Designed to offer comfort as well as style, wood outdoor furniture features such as a high-back make sure that you are supplied with maximum comfort. Our wooden benches and patio seat are constructed from a variety of hardwoods and come in a choice of styles. High-quality wooden slats are featured on a variety of our wooden benches and these make an extremely supportive and comfortable backrest for a garden bench. Alternatively, If you’re looking for a more modern bench for your garden, have a look at our rattan deck box which provides handy storage space as practical seating for your garden. Our garden benches, dining table and chair seat collection require little maintenance to stay looking great all year round. You can also stain the wooden benches and patio chairs every few years to keep them looking as good as new. Add cushions to your garden bench and garden seating for ultimate comfort whilst relaxing outdoors. Our garden bench cushions, as part of our outdoor living and patio dining collection, are designed to fit to the bench and come in a number of colours.